Road construction and operating heavy machinery, just like farming, is kind of slow and tedious and boring in real life and it only gets more tedious and boring in video game form since you're not getting paid for it. To make these sorts of things fun in a video game certain compromises have to be made to keep them fun and playable. 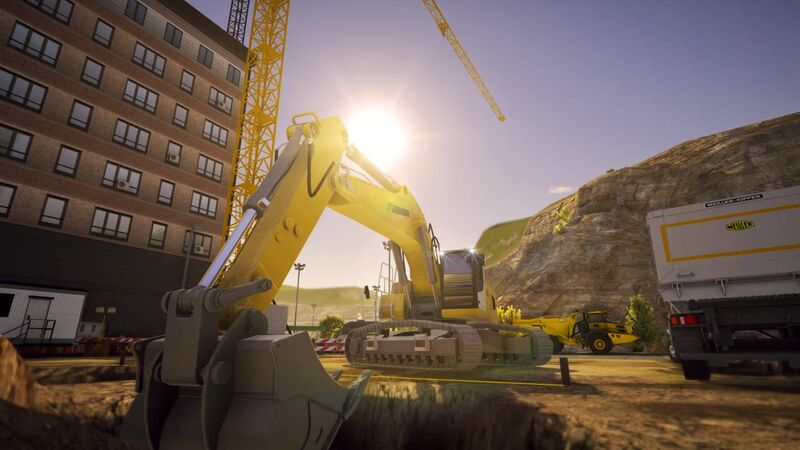 Construction Simulator 2 comes to consoles with some very smart Quality of Life features to let you skip most of the boring and tedious stuff if you want to while still providing an authentic and satisfying heavy machinery-focused construction simulation. Some (a lot of) folks will probably still think it's boring, but if you have learned to love Farming Simulator you'll love Construction Simulator 2 CE as well for all of the same reasons. Continue reading our full Xbox One Construction Simulator 2 US: Console Edition review for all of the details. I've mentioned this previously in my Farming Simulator reviews, but when I was a kid I pretty much lived in the dirt with my massive fleet of Tonka Trucks (back when they were all metal and awesome). I loved construction equipment and heavy machinery and just moving dirt around and building stuff was a ton of fun. As an adult construction was never really a career option (being legally blind probably had something to do with that ...), but my love of the equipment never really diminished. Playing Construction Simulator 2 lets me re-live my childhood of playing in the dirt without needing to hose off before I come back into the house. 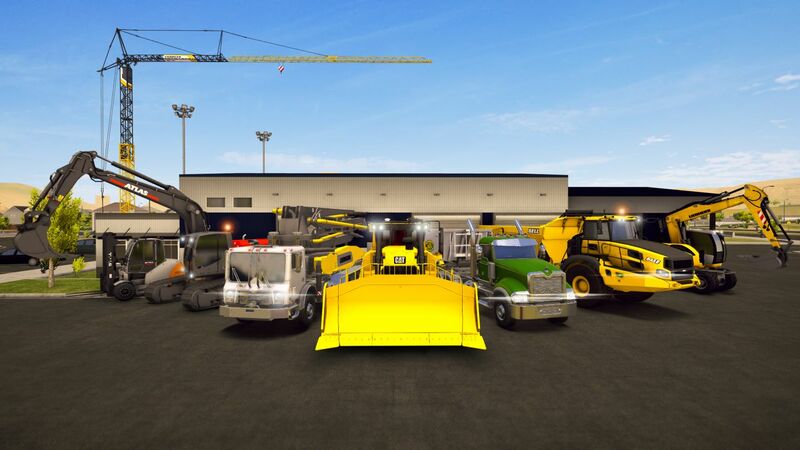 In Construction Simulator 2 you get to start your own construction company. You start out with just a flatbed truck and a backhoe and have to do small jobs and rent the other equipment you need while earning money to buy new equipment so you can take on bigger and more complicated tasks. Your first jobs are things like digging out a flowerbed or delivering a load of sand to the local playground, but by the end you're repaving roads and building skyscrapers. The game world is surprisingly large and varied and includes a dusty small town, a modern suburb, and even a crowded downtown big city area. The machinery at your disposal also covers pretty much everything you could ever want including dump trucks of various sizes, cement trucks, tracked excavators, giant bulldozers, massive mobile cranes, asphalt pavers, compactors, and much more and they're all based on real world licensed machines. Gameplay consists of accepting a job through the menu and then going out with your equipment and doing it. The fun comes from the fact that each piece of machinery has unique controls to master and that the jobs usually have multiple steps requiring many different types of equipment. The controls are fairly intuitive for each piece of equipment and there are multiple camera options to help you see what you're doing. It should be noted that this isn't a sandbox game so you can't really just dig wherever you want or do anything you want, but there is enough variety in the jobs you do that I don't mind having some rigid structure in the end. The thing is, however, that not every job is particularly fun and not every piece of equipment is fun and easy to use. Pretty much everything about asphalt and roadwork in general, for example, is tedious and slow and terrible. The brilliant thing about Construction Simulator 2, though, is that you can skip individual steps of a job and still get paid for the rest. This lets you focus on the fun parts you enjoy and just skip over the stuff you don't. Other smart QoL features include the ability to quickly skip around to different machines with a couple of button presses and you can even teleport equipment directly to and from job sites rather than having to manually drive everything everywhere. The game, thankfully, also isn't super strict about the quality of work you do so you can kind of sloppily dig holes or just drive into the middle of a foundation and start pouring concrete and the game doesn't really care. Once you pass a certain threshold of work completed, the game automatically cleans everything up and finishes it for you. 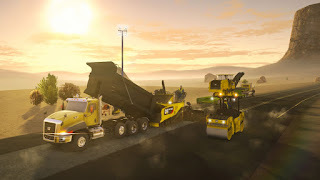 You also earn the ability to automatically fill and empty your dump truck or cement truck via the menu, which cuts out another tedious aspect of the gameplay. Or you could manually do all of this boring junk yourself if you really want. The point is that you get a choice. 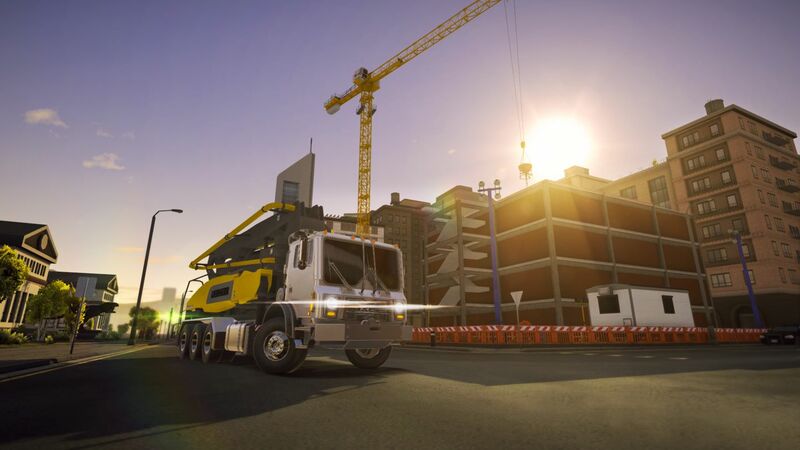 The end result is that Construction Simulator 2 has been smartly designed to let you do what you find fun and skip over most of the stuff that isn't so fun. This is what sets this game, as well as the FarmingSimulator series, apart from all of the other "sim" games on the market. They aren't afraid to compromise the simulation aspect a bit in order to ensure players are going to have fun. 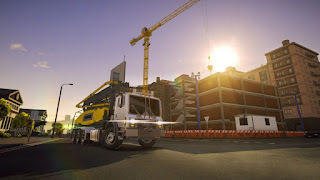 Admittedly, some of the controls are clunky and awkward and some of the job objectives aren't always clear, particularly at first when you start playing, but once you get into how the game works and start taking advantage of what you can do to make things easier on yourself, Construction Simulator 2 is very satisfying, very fun, and surprisingly addictive. 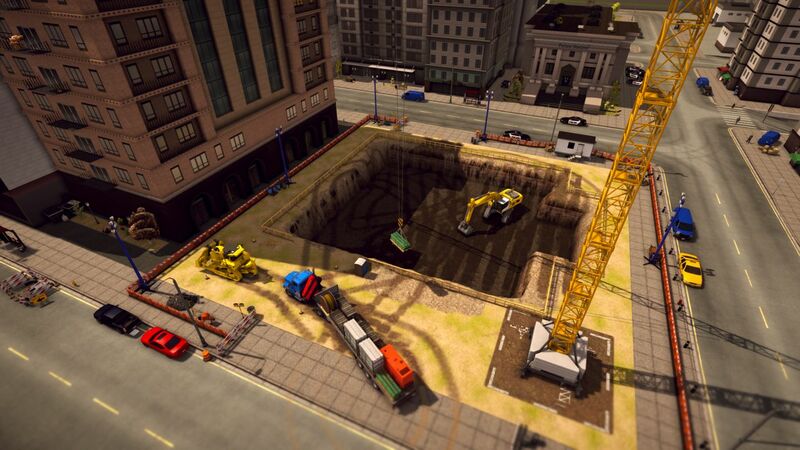 The presentation is one area where Construction Simulator 2 definitely won't impress. It is bland and kind of ugly looking and the environments are not great. The equipment generally looks okay, though. This started as a mobile game and it shows. The sound is similarly pretty lackluster with monotonous engine sounds and weirdly out of place music choices. All in all, Construction Simulator 2 US: Console Edition is worth a look for anyone who enjoys simulation games. The best part is that it is as complex and realistic as you want it to be as it offers a surprising amount of options to skip over and otherwise avoid the tedious and not so fun aspects of heavy machinery work. It starts a little slow, but once you get into how the game works and buy some big and cool new machines, it is a ton of fun. It is also priced absolutely perfectly at just $15 so there is no reason not to give it a try if you're the least bit interested.